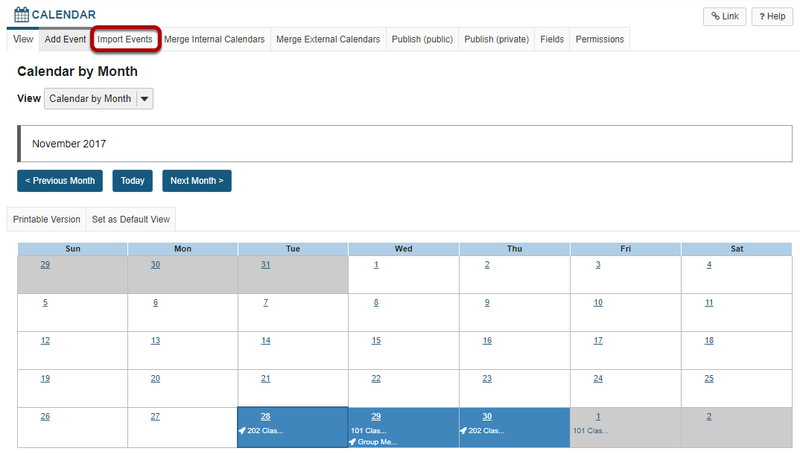 Sakai Guides and DocumentationSakai Complete User Guide CalendarHow do I import Calendar entries from a file? 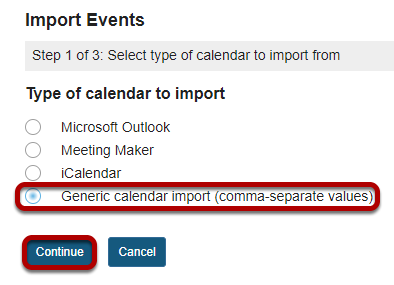 Select the type of calendar file you are importing (Microsoft Outlook, Meeting Maker, iCalendar, or Generic calendar import (comma-separate values)), and then click Continue. 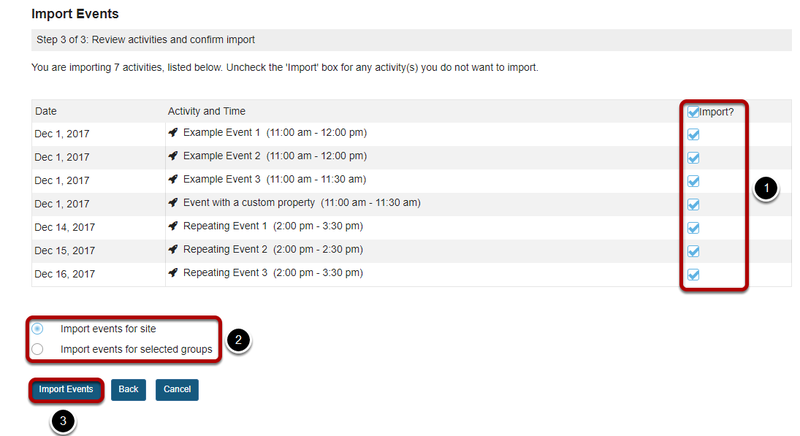 Zoom: Preview items and import events.